There is so much going on in the NoMad neighborhood this weekend! From live music to free Shake Shack, there is a lot to choose from. Lucky for you, we’re here to highlight some of the amazing events happening near Madison Square Park. The Gil Evans Project continues their six-night run at Jazz Standard. This Ryan Truesdell-led concert has become a yearly tradition and last year’s collaboration even resulted in a Grammy win. The Jazz Gallery will host Lage Lund 4 on Friday night. This quartet is led by guitarist Lage Lund. On Saturday night, the Harish Raghavan Birthday Celebration will take place! Harish will lead a quintet. Two Ace Hotel staples will hit the decks at the Lobby Bar this weekend. On Friday night, DJ Prestige will spin soul classics. On Saturday, DJ Huggy Bear will play a diverse array of genres. 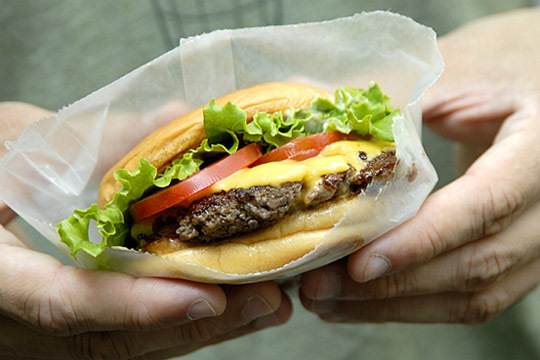 From Sunday through Wednesday, NoMad-staple Shake Shack will be giving out passes for free burgers. This is in honor of the new Shake Shack opening at JFK airport. In order to grab a pass, head over to 376 West Broadway at Broome Street in Soho.